The Secretary’s speech did not touch on the Obamacare issues that have challenged lawmakers and policy experts since the collapse of the GOP repeal effort, followed by President Trump’s executive actions on insurer payments and ACA promotion efforts. As the March 24 Congressional spending deadline approached—and, in the end, failed to produce a viable ACA legislative “fix”— almost daily warnings about the effect a failure to act would have on the availability and affordability of health insurance policies appeared. The Center on Budget and Policy Priorities’ Aviva Aron Dine voiced concerns about some possible negative effects of market fixes. Policymakers, Dine argues, must meet three tests in enacting stabilization measures: “actually avoid making coverage more expensive for moderate income consumers by (combining) cost-sharing reduction payments with compensating adjustments and consumer subsidies; address the greatest risk to the individual market, namely, the administration’s recent regulatory actions expanding the availability of insurance plans that operate outside the ACA’s rules and protections; and avoid weakening consumer protections or coverages, such as a measure that would allow insurers to charge older people much higher premiums. Kentucky’s Medicaid Program: What Are the Costs? In a first-of-its-kind study, the National Alliance for Caregiving and Global Genes have examined the impact of rare diseases on family caregivers. Rare diseases or conditions, the study explains, “are those that affect fewer than 200,000 people; the National Institutes of Health estimates that there are approximately 7,000 such diseases It is further estimated that 25 to 30 million Americans currently have a rare disease or condition that exerts broad and lasting impact on caregivers, in both daily life and long-term well-being. In our study over 400 unique rare diseases and conditions were captured, with the most commonly mentioned conditions including cystic fibrosis, pulmonary arterial hypertension, atypical hemolytic uremic syndrome, Ehlers-Donlos syndrome, Fabry disease, and congenital central hypoventilation syndrome. A defining feature of rare disease caregiving seems to be one of expertise; rare disease caregivers very often have to function as nurses, performing medical nursing tasks.” The researchers’ policy recommendations include enhancing the health of family caregivers through access to respite and counseling; achieving financial security and workplace protections for family caregivers; ensuring family caregivers receive comprehensive training and information; improving care coordination between home health providers, direct care workers, and family caregivers; including family caregivers as vital members of the team in health care settings; and recognizing family caregivers’ role in clinical trial research and innovation. Several studies attest to the beneficial impact of community health workers on the health outcomes of high risk and disadvantaged patients. One of the first such interventions—the Individualized Management for Patient Centered Targets (IMPaCT) care model—was pioneered by the University of Pennsylvania in Philadelphia. The Penn Center for the Community Health Workers sends lay individuals into poor neighborhoods throughout the city to ask patients what kind of support they need to improve their health. In a newly issued report on the program the authors draw upon earlier evaluations that found, for example that “patients who received help from impact workers were 52% more likely to visit a primary care physician within two weeks of being discharged from the hospital. Also patients reported improved mental health, a stronger sense of ‘activation’ (feeling able and motivated to take care of themselves), and better communication with hospital staff at the time of discharge. Additionally IMPaCT showed a favorable cost-benefit ratio: the evaluations documented a robust return on investment, estimated at two dollars annually for every dollar put into the program. B enzodiazepines: Another Prescription Crisis? ﻿In late February the Alliance for Health Policy hosted a wide-ranging discussion about Using State Flexibility to Improve Medicaid Long-term Services and Supports. Four Medicaid experts with federal and state experience explored a wide range of efforts to improve LTSS. A complete transcript of their exchange and interaction with the audience is now available at the AHP website . ﻿ Surprise “balance bills”—those received from an out-of-network providers the member did not choose to see—are gaining the attention of state legislatures, according to a survey released by New Jersey-based healthcare technology company Zelis Healthcare. In 2017, the survey finds, six states passed varying types of laws affecting these unexpected charges, with an additional 80 bills awaiting consideration across the country. Picking up on this topic, the Wall Street Journal’s Laura Landro quotes Johns Hopkins University School of Medicine’s Dr. Bruce Leff: “hospitals will start to evolve into large intensive care units, where you go to get highly specialized, highly technical, or serious critical care.” Landro looks at how hospitals are adapting to the emerging dynamics and economics of healthcare delivery by examining the hospital-at-home model that is gaining traction, the building of smaller facilities such as freestanding emergency rooms and micro-hospitals, commonly called neighborhood hospitals, the transformation of existing hospitals into specialized facilities, the extension of hospital resources into surrounding communities to improve health and avoid hospitalization, and the dramatic increase in telemedicine, enabling doctors in one or more central hubs to monitor and care for patients in widely dispersed intensive care units, such as stroke victims and premature newborns. 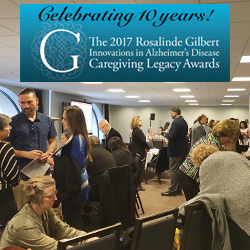 On Tuesday evening, FCA was delighted to host the reception for the 10th anniversary of the Rosalinde Gilbert Innovations in Alzheimer’s Disease Caregiving Legacy Awards. This year’s awardees were in attendance and each presented inspiring stories about their winning programs. 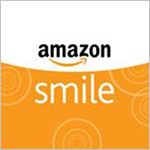 Read about the winners here . 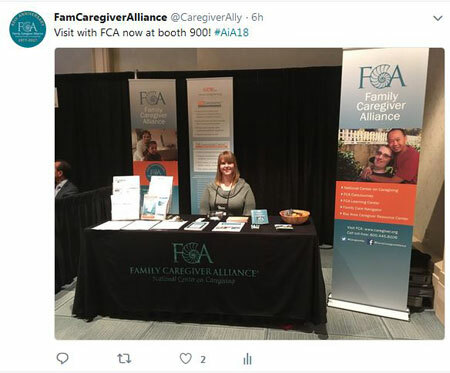 FCA also participated in a few sessions, including Online Resource for Comparing Evidence-Based Dementia Caregiving Programs . 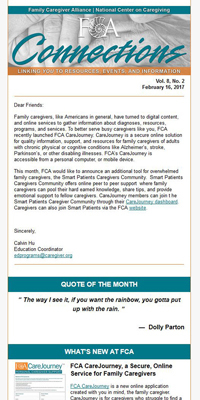 FCA, in partnership with the Benjamin Rose Institute on Aging (with funding from The John A. Hartford Foundation, Archstone Foundation, and The Retirement Research Foundation) is developing a web-based resource for comparison of evidence-based dementia caregiving programs. Read more about the project here .